I was somewhat surprised to see the download figures for my iphone app iStethoscope Pro for last month - the download figures for Swiss users, as well as Belgian, French and German were astonishingly high. It turns out that without anyone telling me, there had been significant publicity in Swiss newspapers and online news forums on the app. It seems to have originated with the article in the British paper The Independent which was then picked up by Swiss papers such as Tages Anzeiger. As ever, the attention is unexpected and appreciated! It's been a busy week as Neon magazine in Germany have decided to write a feature on my book Why Sh*t Happens (or The Undercover Scientist in the UK). So I spent Monday afternoon dressed up in a suit having my photo taken while crouching over a pile of broken pottery, finger dripping with fake blood, making horrified expressions. I wonder what this article is going to look like... I'll post a copy when I get it. You wake up in the morning late because your alarm doesn't go off. Your toast falls on the floor, a bird craps on you as you walk outside, your car breaks down on the way to work, and your pen explodes in your packet. And this is all before 9 AM. Using as his hook a litany of minor disasters that we have all dealt with at one time or another, Bentley explores the science and technology of our daily lives, and how it affects us in ways both bug and small. This is a delightful little book. The international interest about my iphone application iStethoscope from cardiologists and the media continues to increase. 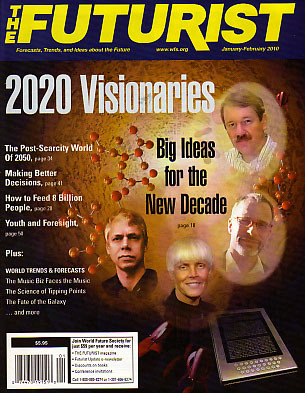 The most recent is this article in Futurist magazine. For more details about the program, go to the application website here.